This review was written for the Egremont 2Day newspaper in June 2015. These two short plays playing at Theatre by the Lake’s Studio theatre are not for the faint-hearted but the cast and crew did a marvellous job of making these two plays as mesmerising as possible. The first play, Mr Paradise, is the shorter of the two and set in the study of an old poet. He is visited by a young woman who has ‘discovered’ his book of poetry and is determined to return him to the public eye. It is a fascinating portrayal of youthful enthusiasm meeting elderly world-weariness and cynicism. Although the aptly named Mr Paradise rages against ‘gunpowder’, his message – that there is no place for poetry in today’s world – is as relevant now, post-modern, post-weapons-of-mass-destruction as we are, as it was when written decades ago. After a short interval we returned to the stage area transformed. It was remarkable to me that the entrance we had just stepped through was also the stage backdrop for both plays so you almost lost where you came in. The result was feeling not so much that you were watching a production as you were in the play. 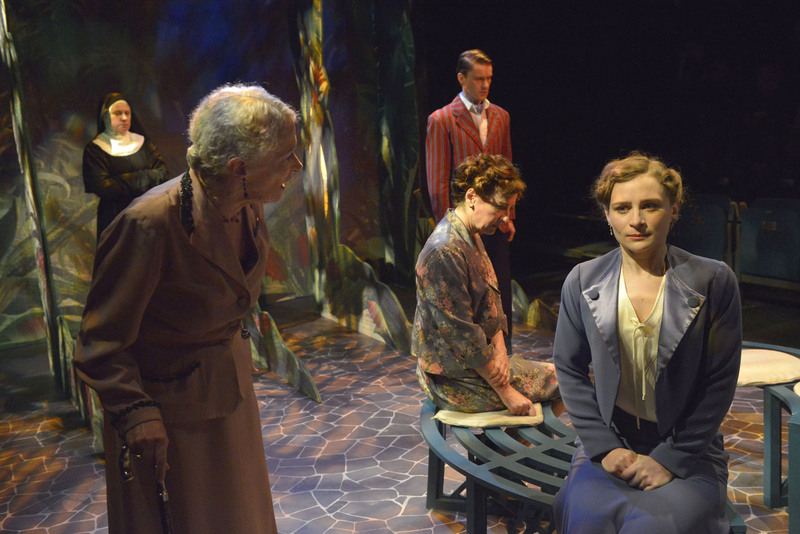 Then began the second, longer one act play, Suddenly Last Summer. Full credit to director Mary Papadima for bringing together sound, lighting and acting. mesmerising us throughout every single line. Ben Ingles was stunning as the white-suited, pristine Dr Cukrowicz who gives little away but seeks truth. Emily Tucker plays Catherine – the poor girl who is driven half-mad with what she saw the previous Summer – and performed perfectly with flawless lines taking up most of the second half of the play. The rest of the cast were equally good though personally I found one or two of the characters superfluous to requirement. That’s William’s fault though, not this cast. I won’t reveal the themes which arise here as it is best to see the performance knowing nothing as you wait, along with the good doctor, to find out the truth behind the death of Sebastian Venable. However, if you know of Tennessee Williams’ personal life you can guess what’s coming until the shocking and tragic ending which no one could predict. There are many questions asked here – the role of psychiatry and medical intervention, the meaning of morality,the blurred lines between sanity and madness, the questioning of the right to truth when no one wants to hear it. Tennessee wanders through these moral mazes and leaves you so shell-shocked you doubt your own answers.